I’m always a sucker for trying out new recipes, especially when using the same recipes over and over again. Luckily, Pinterest can easily solve our repeat-recipe fatigue. With consideration to my large Pinterest following group, I thought it would be insightful to share top trending food pins from my Pinterest “Yummies” board. Top 10 “yummies” recipes trending on Pinterest this past year. A lightened-up, healthy enchilada bake chock-full of quinoa, black beans and cheesy goodness! Make this ahead of time and just pop in the oven in the morning. Warm, cheesy and delicious! One well-planned trip to the grocery store makes weeknight cooking so much easier. This soup tastes just like lasagna without all the layering or dishes! Simply brown your beef and dump in all ingredients and simmer away! This pizza looks great, especially for a Friday night pizza night, and a great way to get in those farm fresh veggies. Crispy, flavorful, and simple coconut chicken using convenient pantry ingredients to make one memorable meal everyone will love! 5 super quick and healthy brekkies that you can make in about the same amount of time it takes to find your keys. You’ll love these flavorful twists on the classic, summer picnic dish. Here’s one of my all time favorite spring salads! When creating this I was skeptical that it would be anything “wow!” worthy. 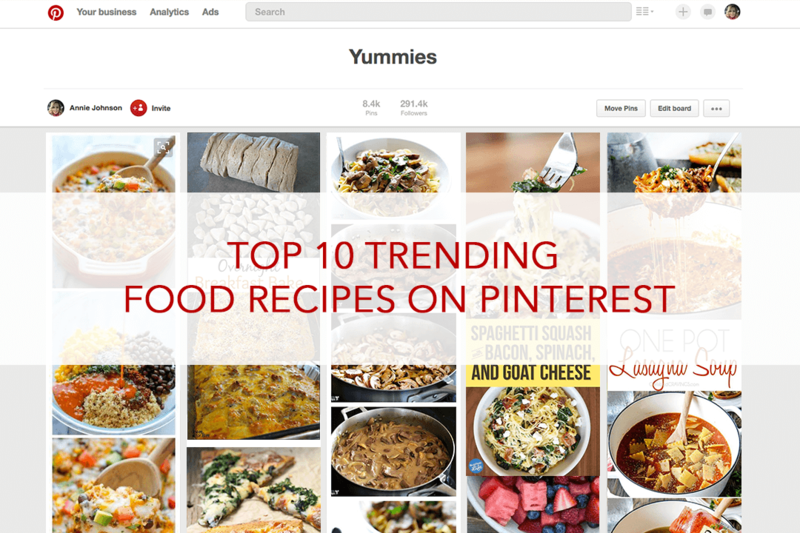 Looking for more food inspiration, check out my top trending Pinterest food board, called “Yummies“. Visit Annie’s Yummies board on Pinterest.